Meet the colorful unicorns as they explore a magical kingdom in this cute baby board book with flaps to lift and pop-ups to enjoy. Join Moonbeam the purple unicorn as she searches for a friend in the enchanted forest and Sunshine the yellow unicorn as she discovers a secret castle. Which unicorn is hiding behind the colorful rainbow? Lift the flap to see! A magical addition to the best-selling Pop-up Peekaboo series, this read-aloud children's book encourages first learning by introducing little ones to colors and adorable characters. 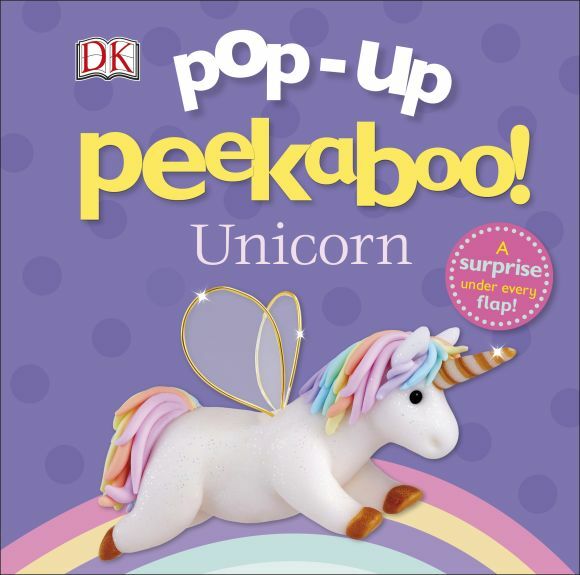 Both parent and child will have fun turning the pages, lifting the flaps, and playing peekaboo. The perfect gift for preschoolers, this book is certain to make them giggle in delight! This sturdy baby book is ideal for preschool play and will keep toddlers entertained time and time again.